We often talk about healthcare’s deluge of data in a negative connotation, but Blain Newton, Executive Vice President at HIMSS Analytics, sees it as innovation in the making. Their global guidelines for health IT adoption gives them a unique perspective on the very specific needs of healthcare delivery organizations. The data that comes through these framework-based engagements allows them to inform vendors in a way that nobody else can. It gives these vendors a better understanding of how to position themselves in the market and in-turn results in the innovations healthcare organizations need to better patient care. In this interview, Newton discusses how HIMSS Analytics went from a point-to-point data aggregator to a global health IT strategy organization and market intelligence platform; why understanding brand perception is so important, especially for startups; and why data is only as valuable as the solution it creates. Whether you’re a large healthcare organization or a small startup, HIMSS Analytics has the resources to move you forward. Being a wholly-owned subsidiary of a global, cause-based not-for-profit allows us a different lens than you would get as a traditional, commercial organization. Through the relationships, engagements, and conversations that we have all over the world, and because of these standards of excellence, we’re able to speak intelligently to the vendor and consultant community, who are trying to fit the needs of these organizations, about what providers are looking for. These go-to-market strategies penetrate the noise. For startups, it’s even more important. If you’re an Epic or a Cerner, you have a market position, you have a voice, you have a platform. In the startup community, there’s a lot more clutter and noise. There’s an 80/20 rule at play here where the single source vendor will likely maintain that large footprint, but may not dip into their niche fringes. One word of caution: as these technologies are becoming more ubiquitous and more known, we’re seeing a shift towards enterprise buys, as opposed to disparate departmental buys. Making sure that whatever solution you’re bringing to market is not an extra click, or two, is critically important. It needs to be presented and served up in a way that does not further tax the time or research constraints of the clinicians. Some of the bigger players have whole teams dedicated to working with our data, but a startup doesn’t have that luxury. Because of that, we’ve begun offering what we call Managed Services, which is essentially an on-call market research team. Campbell: Please tell me a little bit about yourself and your organization, HIMSS Analytics. Newton: I’ve been in healthcare software technology for – hard to believe now – almost twenty years. I started on the financial side with Arthur Andersen then moved through the vendor community, at GE/IDX and Allscripts, both here and in Europe. I’ve basically worn every hat; I did finance, accounting, operations, professional services, support, product development, and strategy. I eventually rolled off as CEO of a small market research company that was acquired four years ago by HIMSS and consolidated within the HIMSS Analytics business unit. HIMSS Analytics is a wholly owned subsidiary of HIMSS, which is a global, cause-based not-for-profit, focused on better healthcare IT. We are the market research arm of HIMSS. The role I’m in now is essentially CEO of HIMSS Analytics. We’re responsible for not only market research to support the mission, but market research and intelligence to support our clients, and a suite of maturity models that we use as a framework to help healthcare organizations and health systems around the world understand how to adopt and implement IT to achieve the best possible outcomes. Campbell: You live on the nexus of healthcare delivery organizations and health IT solutions. How does your value proposition fit into that? Newton: That’s a great question. Being a wholly-owned subsidiary of a global, cause-based not-for-profit allows us a different lens than you would get as a traditional, commercial organization. We provide value through our maturity models, most notably through our EMRAM model, which has become a global standard of excellence for how to adopt and implement EMRs and related systems. Our analytics maturity model is helping the new age of understanding and making sense of data within the health system and how to use it to improve care, financial outcomes, and patient engagement. Lastly, our continuity of care model acts as a guide to ensure the right technologies, processes and people are in place so HDOs are effectively caring for the patient. Those frameworks are helping individual healthcare systems all the way up through ministries of health understand how to adopt, implement, and leverage technology across multiple care settings. It gives us a unique perspective on the very specific needs of the healthcare delivery organizations. Through the relationships, engagements, and conversations that we have all over the world, and because of these standards of excellence, we’re able to speak intelligently to the vendor and consultant community, who are trying to fit the needs of these organizations, about what providers are looking for. We gather data on every hospital and health system in the country, about 350,000 practices in the US and Canada, another 16,000 or so entities globally, and growing exponentially. A lot of that data comes through these maturity model based engagements and allows us to inform the vendors in a way that nobody else can. The relationships we have with the provider community are incredibly important. Being at the intersection of helping providers understand how to adopt and implement allows us a view into the true needs of these organizations. That helps us inform the software vendors, the hardware vendors, the consultants with: how they should position themselves, how they should build out their product lines, who they should be talking to, what value propositions they should be bringing to the table, and helps improve their go-to-market plans because of this unique, intimate knowledge we have of the health system. Campbell: That’s truly profound. Given the audience of HealthIT & mHealth is more startup-based and entrepreneurial – companies in their nascent stages – how can they use LOGIC™ to intelligently approach a market and differentiate their offering? Newton: LOGIC™ is an integral part of a bigger puzzle. LOGIC™, a market intelligence tool with hundreds of millions of data points provides users data intelligence on who has what technology and how they’re using it, who they’re looking to replace, who the decision makers are within these healthcare organizations, what their financial status is, unused budget, things like that. This market intelligence in combination with an understanding of brand perception, how to position a brand, and how to create tactical go-to-market strategies is where our market insight, thought leadership and research arm comes into play to help complete the puzzle. These go-to-market strategies penetrate the noise. For startups, it’s even more important. If you’re an Epic or a Cerner, you have a market position, you have a voice, you have a platform. In the startup community, there’s a lot more clutter and noise. Even if you look at telemedicine vendors, we’ve seen the number double over the last three years that we’re covering within LOGIC™. Similar story with analytics vendors. Part of that is because these organizations are targeting very niche plays. For example, they’re only covering a very specific type of telemedicine, and telemedicine is a big world. Using LOGIC™ and some quantitative/qualitative research, leveraging the relationships we have, you can begin to cut through the clutter and noise to start to more clearly articulate the value proposition that resonates with the buyer. For a startup, domain knowledge and domain expertise is very important. Our relationships afford us access to the type of domain knowledge that can help a startup’s message resonate in a way that maybe others aren’t. It’s the combination of LOGIC™ and market understanding, with some managed services-type work, which we offer, that can help startups rise above the fray and create a platform and a voice that is heard beyond buzzwords. Campbell: Absolutely and that brings up an important point. As I talked with several CIOs, as part of our CHIME Interview Series, and got their perspective on what seems to resonate with them, what differentiates in the startup community, the consensus seemed to be that there’s an endless number of vendors approaching the buzzword markets: patient engagement, precision medicine, and the like. These CIOs felt there was an opportunity at the fringes where big vendors like Epic may not have their focus. You see these off-shoots, these companies that have employees—like Galen—that have members who used to work for the large EHR vendor organizations. That said, what do you feel are the best market opportunities if you’re just entering right now? What are the areas that may be in their nascent stages, where maybe they’re investing too much energy prematurely? What are the hot areas around the fringes? 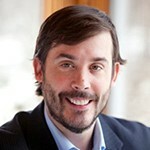 Newton: That take from the CIOs at CHIME is exactly what we’re seeing too. There’s an 80/20 rule at play here where the single source vendor will likely maintain that large footprint, but may not dip into their niche fringes, like precision medicine for example, as you mentioned. It’s a buzzword that everyone’s excited about, but we’re not seeing as much organizational readiness to fully engage at the healthcare organization level. It’s more of a hub and spoke model because of the cost of setting up a truly effective precision medicine program in the workflow. As such, it’s still in the early stages. The point being, as that starts to ramp, there’s opportunities to play in the niche areas. There’s a big focus on cancer and the Cancer Moonshot. That’s an incredibly important piece of work and one that IBM Watson has put a lot of money, time, effort, and resources into, and they’re doing great work around it. There are other areas precision medicine and genomic medicine can help too. I talked with some folks in Orlando at the HIMSS Annual Conference that are focused on mother-baby precision medicine, and understanding the neonatal/postnatal impact of genetic medicine, targeting that niche. I think it’s safe to say that, that level of understanding, domain knowledge and expertise to drive care in that area is likely not something the Epics and the Cerners of the world will get to. Telemedicine is another area, and Care Management, especially as we see the shift to value-based-care in the US Market. Healthcare organizations that are at risk with their patient pool or have health plans within their organization, and are part of or have set up an ACO, are prime targets. We track that data so we understand what health systems that pertains to. Those organizations that are ahead of the curve in the shift to value based care are more likely to be buyers of a niche. An example is a telemedicine vendor to manage chronic disease states. Diabetics for rural patients for instance, to bring down the long-term cost of care. Understanding, as a startup, how your solution fits within a given healthcare organization’s mission is critically important. Filling in those niche plays, where you can help reduce the A1C levels, for example, for a rural population of diabetics through innovative care management and chronic disease management could be something of importance. One word of caution: as these technologies are becoming more ubiquitous and more known, we’re seeing a shift towards enterprise buys, as opposed to disparate departmental buys. You can no longer just create a relationship with the head of endocrinology, for example, for a diabetic management tool. It’s now becoming a larger play. Understanding your path through the decision tree at a hospital, who the right people to talk to are, is becoming more and more important, as is understanding who the likely buyer for your product/solution is. The scatter shot approach is a hard one to take, especially as a niche startup. You need a clean value proposition with a clear understanding of who you should be talking to and when, to position your product appropriately. Campbell: You brought up several key points there. One, around the enterprise buys – that inherently solves interoperability issues. As these organizations are risk adverse in the terms of the complexity they face and the transition from fee-for-service to value-based care, they don’t want to introduce another point-solution that they’ll have to interoperate within the enterprise portfolio. Another point you mentioned, PHM, population health management, is seemingly a popular buzzword. You gave several use cases of how that can be addressed in the startup community. One of the resounding sentiments or thoughts that I heard at HIMSS, that I thought was very compelling, was the notion of: it doesn’t matter unless the data gets to the point-of-care. Yes, you can do all these fancy analytics and machine learning, artificial intelligence insights, but what does it matter if you’re not reaching the point-of-care? That’s something organizations should think of as well, so thank you for elaborating on that. Newton: You hit on an incredibly important point. I saw, for the first time in years, some interesting ways startups are finding to embed themselves intelligently and innovatively into the clinician’s workflow, so that the data’s there when you need it. I used to work at Allscripts, and they had a saying at the time: “if the doctor doesn’t use it, it doesn’t matter,” or something along those lines. It’s so true. Making sure that whatever solution you’re bringing to market is not an extra click, or two, is critically important. It needs to be presented and served up in a way that does not further tax the time or research constraints of the clinicians. It’s a very important point to look at and it can get lost as you come out with a fancy new solution that may be the greatest thing ever, but if a doc must go three steps out of their workflow to get at it, it probably won’t get seen. It’s a huge point to consider and an area of opportunity for startups to look at how they can cleanup workflow; some of these systems have been assembled in strange ways over the years. Campbell: Sound advice. Tell me about the innovation that’s taking place at HIMSS Analytics to increase vendor market intelligence, productivity, and efficiency. Newton: We have, over the last four years or so, transformed HIMSS Analytics from a point-to-point data aggregator to a global health IT strategy organization and an on-demand, workflow-integrated, market intelligence platform. That platform under the umbrella name is LOGIC™. Underneath that, we have created a very robust set of tools to understand what opportunities you should be targeting, and what territories you should be looking at. You can break that down even further by several factors. You could look at how many procedures a facility does, as it pertains to the problem you’re trying to solve for, so you can target those facilities. There’s a very robust set of customizable tools for you to dig into. Beyond that, we understand the need to fit into a workflow, especially for a smaller organization that doesn’t have a team of market analysts that can dive into the data. Recently, we launched a Chrome extension called LOGIC Discover. It’s available for free on the Chrome Store or through our website. It allows you, within the workflow of your browser, to understand a hospitals footprint. Through this extension, we share with you the key stats you need to know about a hospital before you make a phone call or send an email. Even though startups are consumer-oriented, we’re still seeing the buyer mainly being a payer or a hospital, as we consolidate the market into this hub and spoke model. That might shift, but right now there’s still a pretty high percentage of buying at the hospital or payer level. This Chrome extension allows you to understand what’s happening in your workflow, rapidly, without having to navigate to another tool. We also have a mobile app in beta that is location enabled. So, if you’re in the Boston area and interested in a certain organization, you can quickly and easily use your mobile app to learn the key facts about them and understand if they are actively interested in solving for a problem which your solution fits. Additionally, we have some exciting stuff happening with our predictive analytics solutions: understanding where the markets headed and who’s likely to invest in technologies. We’re looking at ways to break down the volume of data and gain further insight. I know I’m treading into buzzword territory myself talking about predictive analytics. It’s overused at times in the health IT space, but being able to sort through data and glean insights, especially for a startup, is key. Because of the volume of new entrants in this space, making sure you’re in front of the right person at the right time is more important than it’s ever been. We’ll have more news on that in the next month or so. One of the key things that we’ve come out with is due to the recognition that younger organizations may not have—and I say that full knowing that they probably don’t—a team of market researchers at hand. Some of the bigger players have whole teams dedicated to working with our data, but a startup doesn’t have that luxury. Because of that we’ve begun offering what we call Managed Services, which is essentially an on-call market research team. If you’re getting ready to do a big presentation in front of a payer or hospital board buyer, and you need a couple of slides to show market trajectory; or you’re getting ready to put something in front of an investor and you need to show market opportunity; or you’re simply trying to know who your prospects should be but you don’t quite understand the space well enough; make a quick call to us. We can put together slides for you, we can walk you through how you should be talking to folks, and who you should be talking to. Our Managed Service offering is not innovative from a technology perspective, in fact it’s kind of retro, going back to a time when one arm, one service was important. We’ve seen startup clients get a lot of value out of that. That’s an exciting thing that we’ve been doing in the last several months too. Campbell: Simply fascinating. Such value for organizations that are looking to enter a market given that they can leverage the authority and credibility that HIMSS Analytics brings. It offers a turnkey solution for these groups. No longer do they have to climb up this mountain themselves, there’s just great resources out there. You mentioned the Managed Services organization and reaching out to them, how else can a budding startup or entrepreneur get started with HIMSS Analytics? What other resources are available publicly to learn more? Newton: Our newly designed website has a lot of good information on it. We consistently hold webinars. We have a syndicated research publication that’s low cost and high value, called Essentials Brief, on hot topics in the industry. There’s at least one a month, if not more. Those are also available on our website. With the investment in one of those – $1500 – you get time with us to walk through the findings and talk through what’s out there. As a not-for-profit, part of our mission is to ensure that all stakeholders in the health IT landscape, whether they’re healthcare organizations or solutions providers, are well informed. It drives efficiency through the system. We’re more than happy to just have a conversation and spend time working with organizations trying to get into the space. It doesn’t necessarily need to lead to a sale. We need innovation, so the more we can do to offer up guidance, the better. We had a client mention to me at HIMSS in Orlando, that they would describe the way we operate as “approachable intelligence.” We are very invested in the success of our clients. It’s not just a transaction. We get involved and try to find a way to lead you forward. Whether it starts with a basic conversation, the Discover Chrome app, the mobile app, or the Essentials Brief – whatever it is, there’s multiple points of entry. You can find them all on HIMSSAnalytics.org, but again, we’re also happy to just take a call, answer questions, and give some thought and insight. Campbell: Blain, thanks so much for your time today. Some truly compelling initiatives taking place at HIMSS Analytics. You’re really pushing the healthcare industry forward one insight at a time. Blain Newton serves as Executive Vice President of HIMSS Analytic. Prior to his current role, Blain Newton served as Senior Vice President and Chief Operating Officer of the business unit, with overall responsibility for strategy, sales, and operations for HIMSS Analytics product and service offerings. Blain can be found on Twitter at @Newton_VT and LinkedIn. Formerly CEO of CapSite, a Burlington, Vt.-based healthcare technology research and advisory firm acquired by HIMSS Analytics in 2012, he has more than 15 years of experience in the healthcare technology industry. He has held leadership roles in finance, solutions management and operations in the US and internationally at companies including IDX Systems Corporation, GE Healthcare, Allscripts, and Arthur Andersen. Justin is Vice President, Strategy, at Galen Healthcare Solutions. He is responsible for market intelligence, segmentation, business and market development and competitive strategy. Justin has been consulting in Health IT for over 10 years, guiding clients in the implementation, integration and optimization of clinical systems. 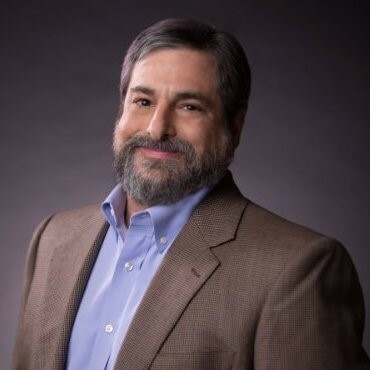 He has been on the front lines of system replacement and data migration, is passionate about advancing interoperability in healthcare and harnessing analytical insights to realize improvements in patient care. Justin can be found on Twitter at @TJustinCampbell and LinkedIn.